For over 110 years we have been serving the Delaware Valley region with our best-in-class tuxedo rental service. Four generations of the Levin family have helped millions of people feel special and fashionable on their most important days. By keeping abreast of fashion trends we are able to provide our clients with the best fitting, and most flattering tuxedos for their special day. Unlike many of our competitors, our knowledgeable staff is trained in tailoring which enables us to ensure a perfect fit. When you choose Rochester Formal Wear, we ensure you will leave feeling happy and confident with your rental. Whether you need a tuxedo for a wedding, corporate party or for the red carpet our enthusiastic staff will focus on the details and zero in on the ensemble that will look and fit you best. Try us out for your next prom, quinceanera, or other special event. We promise to show you what a difference 110 years in the formal wear business makes. Save time and submit your measurements online! If you’ve had your measurements taken at a professional tailor or formal wear store you can submit them to us using the form below. Thank you for your submission. We will reach out to you shortly to confirm we received your measurements. We are happy to answer any questions. Please feel free to call us or drop us a note below and we will respond promptly. 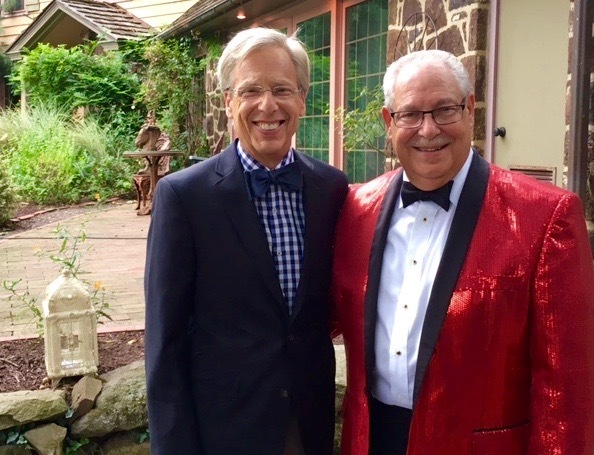 Brothers Richard and Stan will make sure you look your best on your special day! Thank you for contacting Rochester Formal Wear. We will respond to your inquiry as soon as possible.